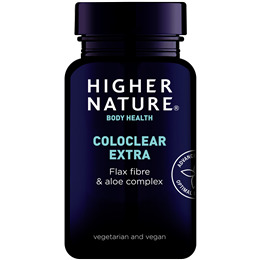 ColoClear Extra contains High Lignan Flax, Fennel, Fenugreek, Liquorice, Cloves and Aloe Vera. These herbs anf fibre help support the digestive system and help maintain a healthy colon, which is essential for health and well being. CONTAINS NO added sugar, Sugar, salt, soya, wheat, gluten, lactose, dairy products, artificial preservatives, colours or flavourings. Encapsulated with natural ingredients; hypromellose, mixed tocopherols (natural vitamin E), silicon dioxide, vegetable magnesium stearate. CONTAINS NO added Sugar, salt, soya, wheat, gluten, lactose, dairy products, artificial preservatives, colours or flavourings. Take 3 capsules 1-3 times a day, before a meal, with a 240ml (8oz) glass of cool water or juice. 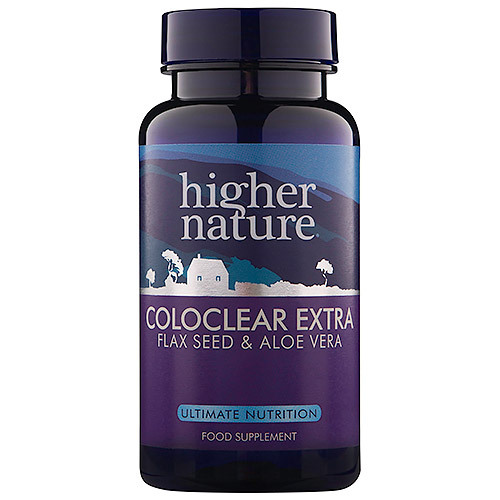 Below are reviews of ColoClear Extra - Flax Seed & Aloe Vera - 180 Vegicaps by bodykind customers. If you have tried this product we'd love to hear what you think so please leave a review. This product really helps with constipation. I will surely purchase it again.